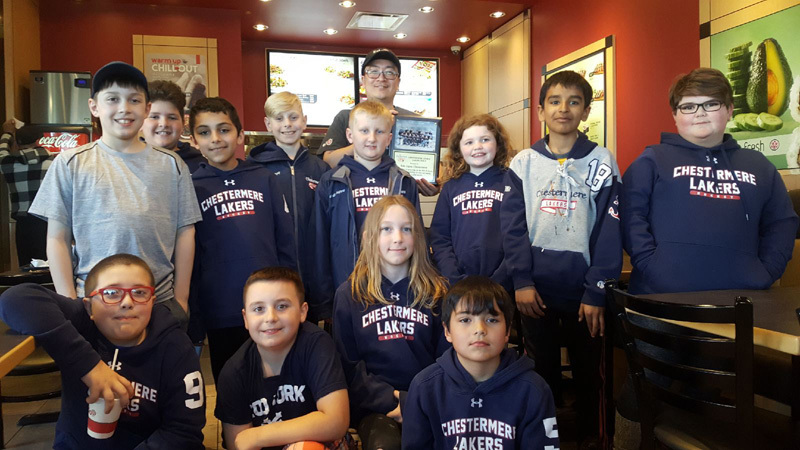 Chestermere Lakers Atom 6 Hockey Team – Edo Chestermere Sponsorship 2018-2019 Hockey Season. The Chestermere Lakers Atom 6 Hockey Team would like to Thank Edo Chestermere (Ryan) for his generous sponsorship of the hockey team, it was greatly appreciated! FRONT ROW, left to right: Dorian, Mason, Taylor and Braden. MIDDLE ROW, left to right: Kyler, Hadi, Ashton, Malcolm, Kaileigh, Manvir, Jonas. BACK ROW, left to right: Yusuf, Ryan (holding a plaque presented by the Team). THANK YOU RYAN AND EDO CHESTERMERE! Everyone have a great safe summer and see you at the rink soon!